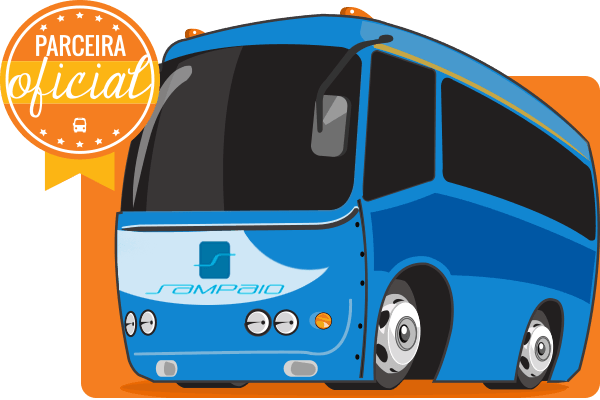 Get to know Sampaio Bus Company and Book your Bus tickets online! 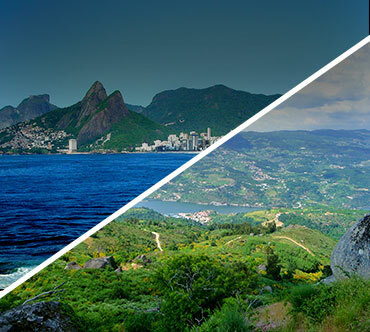 In addition to connecting the capital of Rio de Janeiro to Sao Paulo, the company also offers destinations in the countryside of São Paulo, Rio de Janeiro and Minas Gerais. About Founded in 1966 by Isaac Sampaio, Sampaio Bus Company was created from the break up of two existing lines belonging to the Cidade do Aço and linked Volta Redonda to Aparecida do Norte and Angra dos Reis. Over the years, the bus company has incorporated new bus lines. 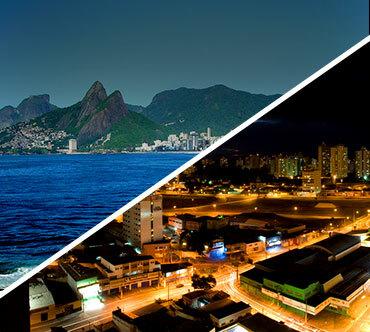 Currently, the company is taken as a reference in road transport on the axis Rio de Janeiro x São Paulo and is part of the Guanabara Group, who cares about quality of the quality of its services and invests in the human resources area. 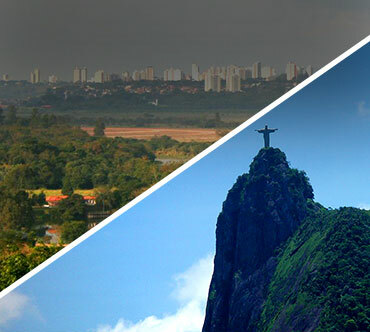 At Brasil by Bus you can buy your bus ticket quickly, easily and safely. 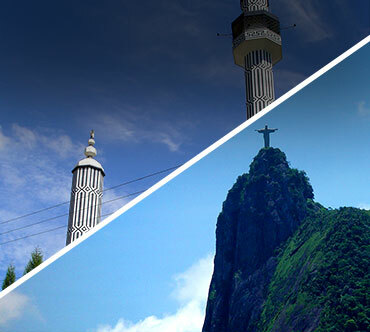 The main bus routes operated by the company are: Alfenas x Rio de Janeiro, Pouso Alegre x Rio de Janeiro, Resende x Rio de Janeiro e Rio de Janeiro x Aparecida. Main bus terminals : Novo Rio Bus Station and Tietê Bus Station. Conventional seats, with or without air conditioning. Reclining seats (30 degrees), leg supports, air conditioning, water. Half sleeper seats (55 degrees), leg supports, WC, air conditioning, DVD water. 130 degrees reclining bed seats, WC, air conditioning, DVD, water, optional blanket. *All services described are the responsibility of the bus company and are subject to the availability of each bus.